Professors Heidi Kraus (art and art history) and Lauren Janes (history) launched the Paris May Term in 2016. 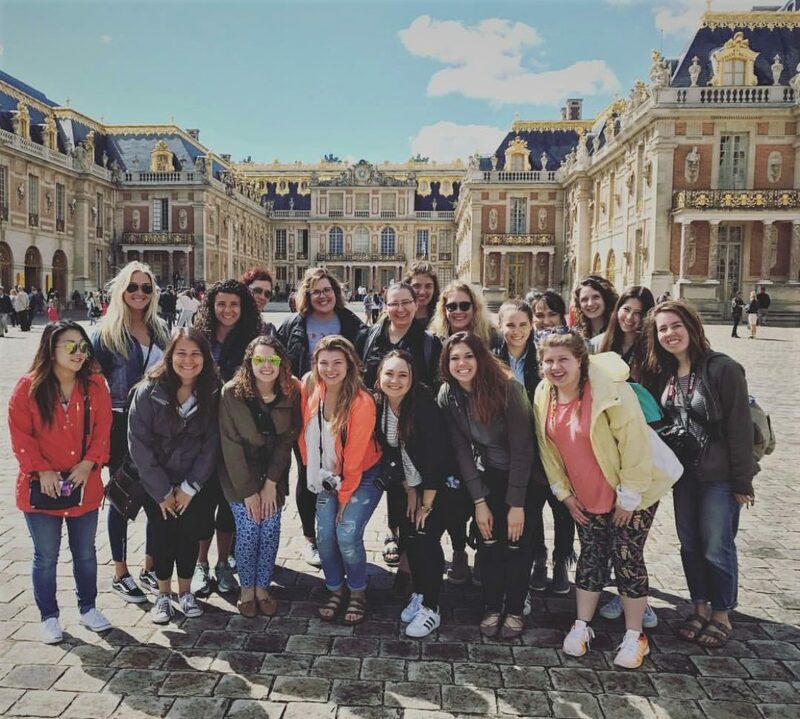 The course, “Art, History, and Memory in Contemporary Global Paris,” included seven instruction days on Hope’s campus and two weeks in Paris. Instruction on campus focused on Revolutionary France, eighteenth and nineteenth-century French art, twentieth-century French imperialism, and the religious and ethnic diversity of contemporary Paris. In Paris we held a seminar on the development of French painting from Rococo through abstract expressionism in the Louvre, Orsay, Orangerie, and Pompidou museums. We also explored historic sites and monuments, shopped in local food markets, attended the ballet at the Paris Opera house, toured Versailles, the Mosque de Paris, and the Immigration Museum. Our pedagogy emphasizes structured self-exploration of the city, helping students learn to navigate the Paris Metro and engage with and reflect upon the places that interest them the most. While in Paris, students created blogs on Tumblr documenting their explorations, observations, and experiences.